A beautiful home so pretty from the street, it's even better inside. An early settlers cottage that is bigger than it appears, delivering all you could want for today's living. This super home has a large sun filled open plan lounge, with four bedrooms and modern bathroom. Enjoy the wonderful flow from the kitchen out to the private garden, ideal for the children's play. 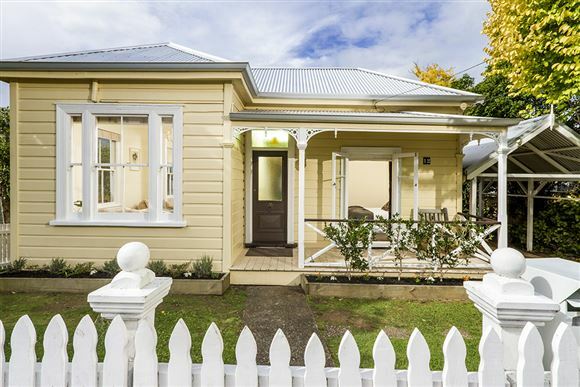 The location is brilliant, this is affordable living and so handy to the ever popular Cheltenham beach. If golf is your thing, walk to the end of this quiet tree lined street, turn left and get ready to tee off. Walking to the village and ferry is also very do-able.